We have to be careful with this little plant. No, it’s not poisonous or invasive. 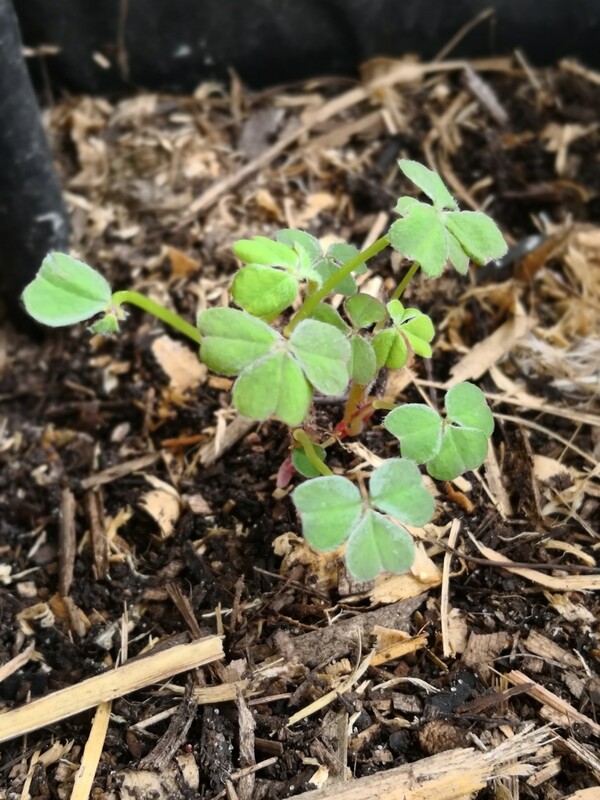 To someone who doesn’t know that we planted them, these shoots look just like the young shoots and leaves of a notorious (but edible) garden pest Soursobs (Oxalis pes-capre) who’s yellow flowers cover the land at certain times and are the bane of old school gardeners. Oca, or New Zealand Yams as some call them are a perennial root crop, just right for our under-understorey of root and tuberous vegetables. The brightly coloured tubers come in a range of reds and oranges and darken with storage. I’ve heard of some large ones, but all of those I’ve seen seem to beverage 2-4 centimetres (if you’ve any bigger specimens, get in contact, I’d love to get some from you). This is our third attempt. All of the others were dug up and eaten by our older dogs in the past. I’ve spread them around the garden, where the micro-climates seem right. So far, most of them are shooting. I’ll be protecting them a but more during the heat to come. Fingers crossed your dogs don’t eat them from now on!